The USB-C technology from Cypress Semiconductor has been used to develop the world's first signle port smartphone. 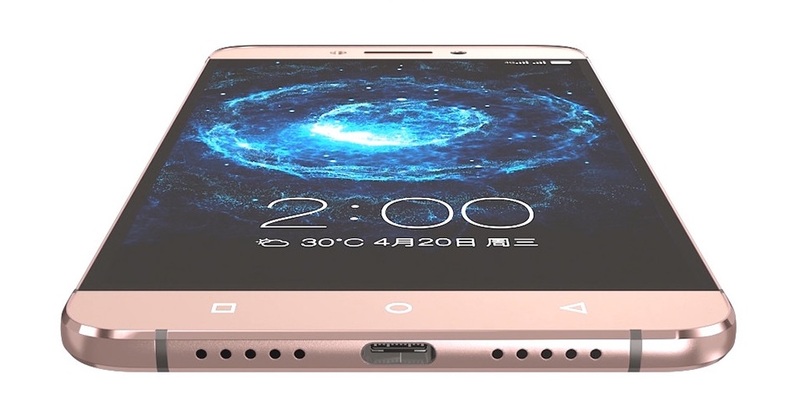 LeEco has used a USB-C port on its flagship Le Max2 superphone—providing the only physical connector on the phone. The Cypress EZ-PD CCG2 controller helps enable the one-port design of the Le Max2, which is the first phone to remove the ubiquitous audio jack and use the USB-C port for audio, in addition to charging and data. LeEco’s Continual Digital Lossless Audio (CDLA) technology delivers true fidelity audio and lossless music experience via the USB-C port. 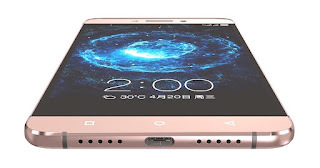 The Le Max2 is also the market’s first phone to enable fast charging utilizing the USB Power Delivery (PD) standard, which allows transfer of more than 15W of power over the Type-C connector. The Le Max2 charger uses Cypress’s USB-C controller solution to implement USB PD as well. Optimized for the 2.4-mm thin USB-C connector, the programmable EZ-PD CCG2 controller is capable of fully supporting USB PD and other proprietary charging standard implementations in smartphones, tablets, and mobile chargers. CCG2 provides a complete, robust solution by integrating the USB-C transceiver, PD protocol and policy layer functions. Available in a 3.3 mm2 20-ball Wafer Level Chip Scale Package (WLCSP), a 14-pin DFN and a 24-pin QFN, CCG2 also includes system-level ESD protection and termination resistors needed for all USB-C applications. The USB Type-C standard is gaining rapid support with top-tier PC and electronics manufacturers by enabling slim industrial designs, easy-to-use connectors and cables, and the ability to transmit multiple protocols and deliver up to 100W of power. The USB Type-C standard’s 2.4-mm-high connector plug is significantly smaller than the current 4.5-mm USB Standard-A connector. In addition to the transport of USB signals, DisplayPort and Thunderbolt signals can be delivered over the same connector via the USB Type-C standard’s Alternate Mode capability. 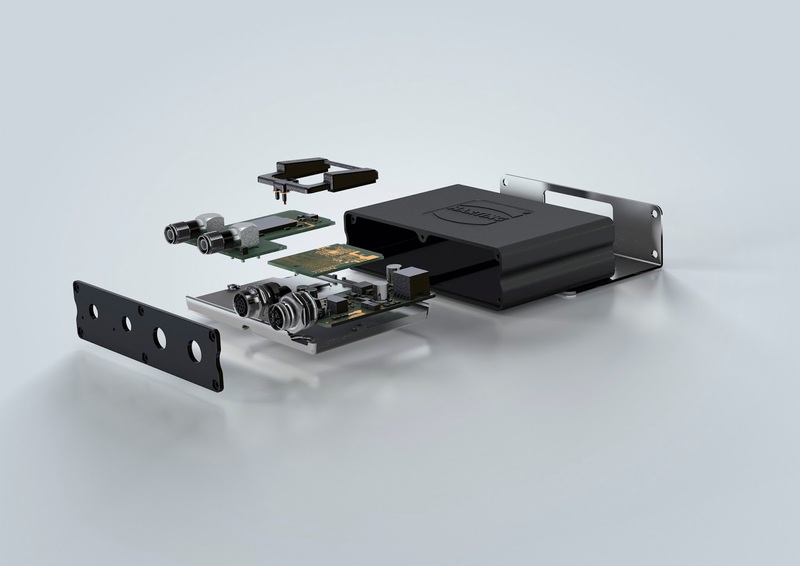 HARTING has launched the first of its ruggedised MICA (Modular Industry Computing Architecture) PCs based around processors from ARM rather than Intel. This provides a platform for system integrators and software developers who need to deploy bespoke software applications to manage systems. It uses a LINUX operating system to provide a secure, stand-alone infrastructure needed in industrial and other demanding applications. MICA is installed in the ‘Rinspeed Etos’ concept car for emissions and status monitoring. The Rinspeed Etos then transmits this data gathered by the MICA device to a neutral 3rd-Party (Dekra), for independent analysis. This illustrates how the Internet of Things could be used more widely in the future to monitor and evaluate emissions and performance data in real-world driving conditions. This same technique could also be applied to a range of other industrial and logistical equipment to help monitor performance and maintenance. MICA is fanless and IP67 certified with high EMC, a configurable function-based circuit board, and industrial connectors. This is all housed within a secure and compact enclosure, which protects against dust, oil, splashes, shock and vibration in industrial and railway applications. These are individually connected by a support bracket and use a USB to communicate. Eight freely configurable GPIOs are available on the MICA, with either PoE or 12 – 24VDC power supply. Also available are an RFID reader and USB PushPull connector. The die-cast aluminium enclosure provides protection from harsh environments. Direct mounting is possible on machines, vehicles or on production lines. The MICA is suitable for use where temperature fluctuations, humidity, vibration, dust and dirt may occur. It is possible to mount the MICA onto a DIN rail using an adapter. MICA is available as MICA Basic – with a custom configurable function-based circuit board for making versatile hardware adjustments. Or as MICA USB – with two IP67 PushPull USB ports already built in to the function board. Multi-sensor systems form a crucial basis for the success of the next generation industrial applications (called Industry 4.0), and eleven German companies are coming together to simplify and accelerate the development of such systems. The sensors record, process, and transmit a number of measurement parameters, such as pressure, acceleration, and temperature, all in a highly compact space. Machines are not the only ones to receive such sensors; work in progress is also increasingly being fitted with the intelligent sensor systems so that each product can provide its blueprint and report its manufacturing status. Based on this information, production is largely able to organize and monitor itself. This then becomes a challenge for big data and the Internet of Things. The Euro5.5m RoMulus project aims to standardize and refine the steps leading up to the finished product in such a way that it is possible to produce even small quantities in a cost-effective manner. As a result, they are improving the market position of small- and medium-sized enterprises (SME) in the sensor technology sector. 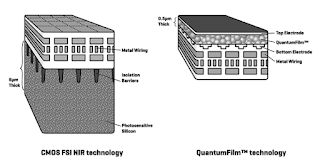 The aim is to combine microelectromechanical sensors (MEMS), which measure mechanical parameters, such as pressure and acceleration, and microelectronic sensor components, which determine temperature, light intensity, and chemical concentrations, in a single package. The finished systems must process large amounts of data in the most energy-efficient manner possible and need to be robust enough to function reliably in an industrial setting. The German sensor technology sector predominantly comprises small and medium-sized enterprises. As a general rule, they are unable to cover all of the services themselves that are necessary for the development and production of multi-sensor systems, which is why they rely on close collaboration with semiconductor manufacturers and service providers for research and development. “We want to disentangle and standardize this collaboration − and thereby the design and manufacturing processes,” says project coordinator Dr. Eckhard Hennig, professor at Reutlingen University. In the future, SMEs will be able to select and compile development services as well as electronic components as if from a large kit, depending on what solution the customer requires for their very specific industrial application. “RoMulus makes it possible to systematically design and cost-effectively manufacture robust, energy-efficient multi-sensor systems, even in small quantities. As a result, German sensor technology manufacturers are leading the field in terms of creating an important technological basis for Industry 4.0 applications,” said Dr. Reinhard Neul from Robert Bosch. The partners include Zeiss, the Fraunhofer Institute IIS/EAS, Reutlingen University, Institut für Mikroelektronik- und Mechatronik-Systeme gemeinnützige, microsensys, Robert Bosch, the Technical University of Munich, TETRA Gesellschaft für Sensorik, Robotik und Automation, the University of Bremen, the University of Freiburg, and X-FAB Semiconductor Foundries. The edacentrum in Hanover is responsible for project management. The abbreviation RoMulus stands for “robust multi-sensor technology for status monitoring in Industry 4.0 applications.” The project began in October 2015 and is scheduled to last three years. InVisage Technologies is using its near-infrared camera technology in a module for authenticating users in the home for the Internet of Things (IoT). The Spark Authentication Module (SAM) near-infrared (NIR) camera module is powered by the previously announced SparkP2 2-megapixel NIR sensor (shown above). At just 8.0 by 8.0 by 3.1 mm, the SAM module is custom built for authentication systems such as Microsoft Windows Hello. In addition to blocking interference from direct sunlight, SAM enables authentication at a greater distance of beyond 100 centimeters from a tablet, laptop or phone so that users are not constrained to a small space in front of their device. Because it operates deeper into the near-infrared spectrum at the 940-nanometer wavelength, SAM also eliminates any intrusive red glow from LEDs. 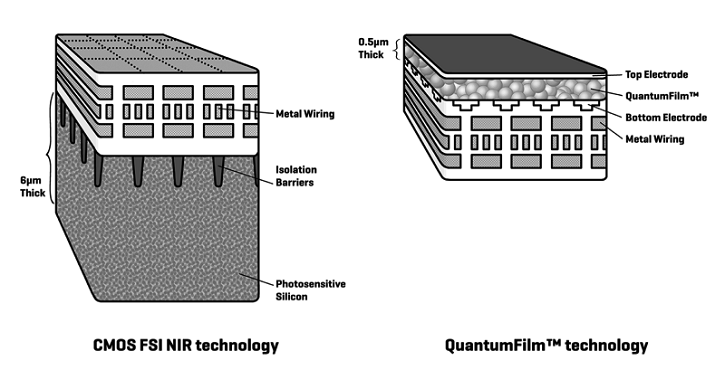 With a photosensitive layer 10 times thinner than a typical silicon infrared sensor, the SparkP2 sensor powering SAM provides significantly higher quantum efficiency at 35% of infrared light at the 940-nanometer wavelength. This greater sensitivity results in sharper images and an expanded operational radius of beyond 100 centimeters, but it also enables minimal crosstalk in a thinner, 3.1mm module with a 72-degree field of view. Infrared cameras in particular suffer from blur due to high levels of crosstalk, or misdetection of light in nearby pixels. Crosstalk typically limits camera thinness by requiring a minimum distance between the lens and the photosensitive layer, but the SparkP2 lens in the SAM module can be much closer to the sensor without increasing crosstalk and preserving a higher level of sharpness. SAM and SparkP2 are optimized for authentication systems that operate at 850 nanometers (with a visible red glow) and 940 nanometers (invisible with a tenfold improvement in sun irradiance rjection). Microprocessor core developer Cortus has teamed up with Oberon Microsystems in Switzerland to to implement fast encryption technology to secure the Internet of Things in the home. 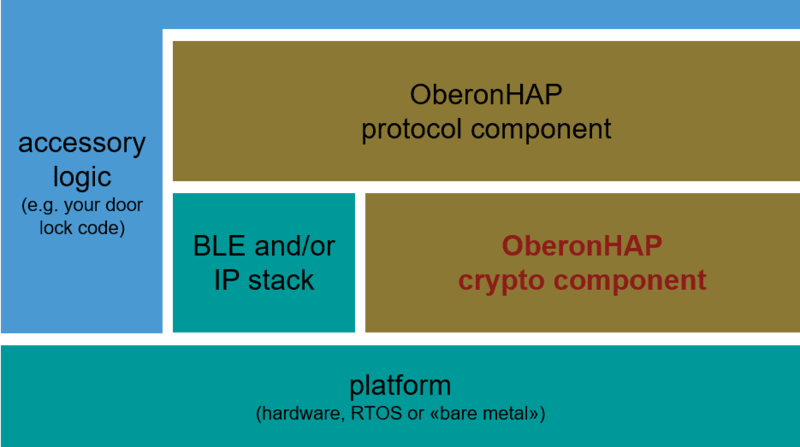 The highly efficient cryptographic code, a key component of its OberonHAP product, has been ported to a 50MHz Cortus APS3RP 32-bit IP core. The combination of the tiny software memory footprint and minimalist processor core is well suited to secure ASICs in battery-powered home automation devices. 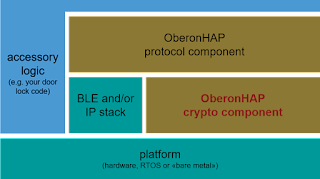 Oberon Microsystems has developed, analysed and optimised the cryptographic code of OberonHAP since 2013 (see below). They have developed – and formally proved - novel algorithm combinations, and have carefully written critical parts in assembly language for high performance. The resulting software is typically three times as fast as a good implementation in C. OberonHAP thus makes secure home automation feasible even on low-power, low-cost 32-bit microcontroller cores for ASICs. “Home automation is a key application area for Cortus”, says Michael Chapman, CEO and President of Cortus, “So we are delighted to see the first steps completed in making Oberon’s code available for Cortus licensees. With growing connectivity of home devices, security is essential." For an integrated circuit with the processor core running at 50 MHz, the cryptographic processing of the SRP algorithm – which is required once in the lifetime of a home automation device – takes less than five seconds. Cryptographic processing during opening of a session between a device and a smartphone takes less than 100 milliseconds. RAM requirements were brought down to a record-low 2.5 KB. The APS3RP is an enhanced performance version of the widely-deployed APS3R and provides a single cycle parallel multiplier. It has a Harvard architecture and a 3-stage pipeline. The Cortus family of APS processors offers a wide choice of computational performance and system complexity for embedded SoCs. All cores interface to Cortus’ peripherals including Ethernet 10/100 MAC, USB 2.0 Device and USB 2.0 OTG. They also share the simple vectored interrupt structure which ensures rapid, real time interrupt response, with low software overhead. The APS toolchain and IDE (for C and C++) is available to licensees free of charge, and can be customised and branded for final customer use. Ports of various RTOSs are available such as FreeRTOS, Micrium μC/OSII, Micrium μC/OSIII and Blunk TargetOS. To date over 900 million devices have been manufactured containing Cortus processor cores. Analog Devices (ADI) has launched a technology and design ecosystem to simplify software defined radio implementations at at the circuit, architecture, system and software levels. RadioVerse provides with integrated transceiver technologies, a robust design environment, and market-specific technical expertise to move their radio designs from concept to creation quickly. The new ecosystem’s transceiver technologies reduce radio size, weight and power (SWaP), while the design environment offers board support packages, software and tools to help customers simplify and accelerate radio development across a range of applications including wireless infrastructure, aerospace and defense electronics, and electronic test and measurement. RadioVerse provides integrated RF transceivers, software API, design support packages, robust documentation, access to ADI’s EngineerZone online technical support community, and more. RadioVerse provides integrated wideband RF transceiver evaluation boards that directly connect to an FPGA development platform, allowing customers to perform chip-level performance evaluation and rapid prototyping of complete wireless scenarios using a single hardware platform. The boards are supported by a toolkit that includes HDL, Linux drivers, software API, a GUI, and design files necessary for customers to kick-start their own designs. An exact, verified model of the AD9371 transceiver, enabling advanced simulation and analysis of the transceiver, can be developed by using MATLAB and Simulink. End users can then use the model to configure the transceiver and verify performance, correct problems earlier, and accelerate completion of their RF system design. · Electronic test and measurement equipment supporting testing of multi-mode, multi-band applications.